Never again get caught short at the last moment! Already 4 p.m. on Friday. 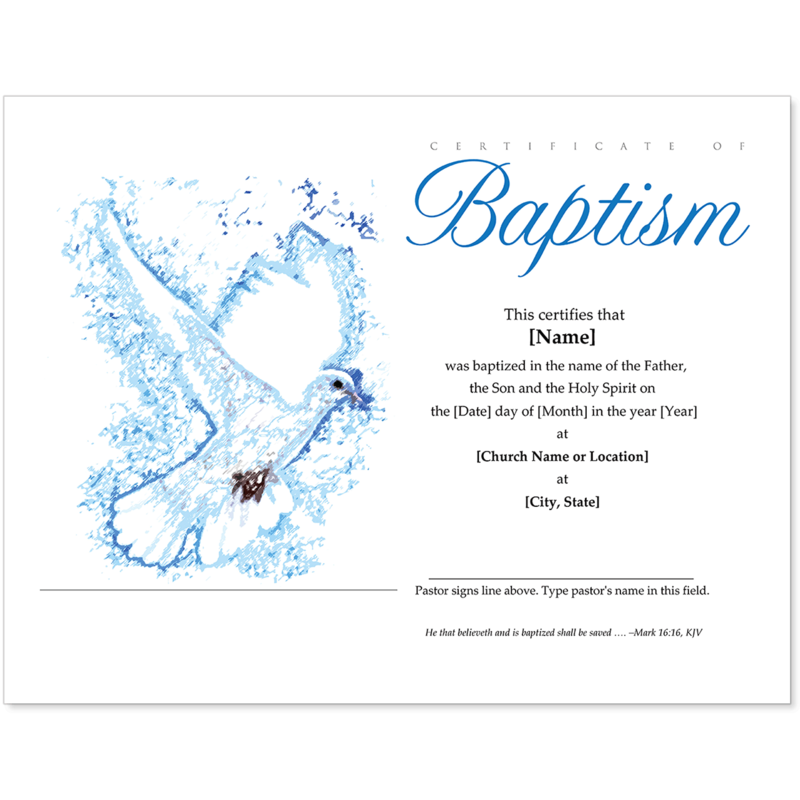 Still need to prepare three Baptism certificates for Sunday morning. Uh-oh. We're out of Baptism certificates! Better get to the supply store before they close and hope they have what we need in stock. 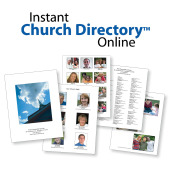 But, with Essential Church Certificates, the certificate you need is right at your fingertips! Eliminate the cost of expensive, preprinted certificates forever. 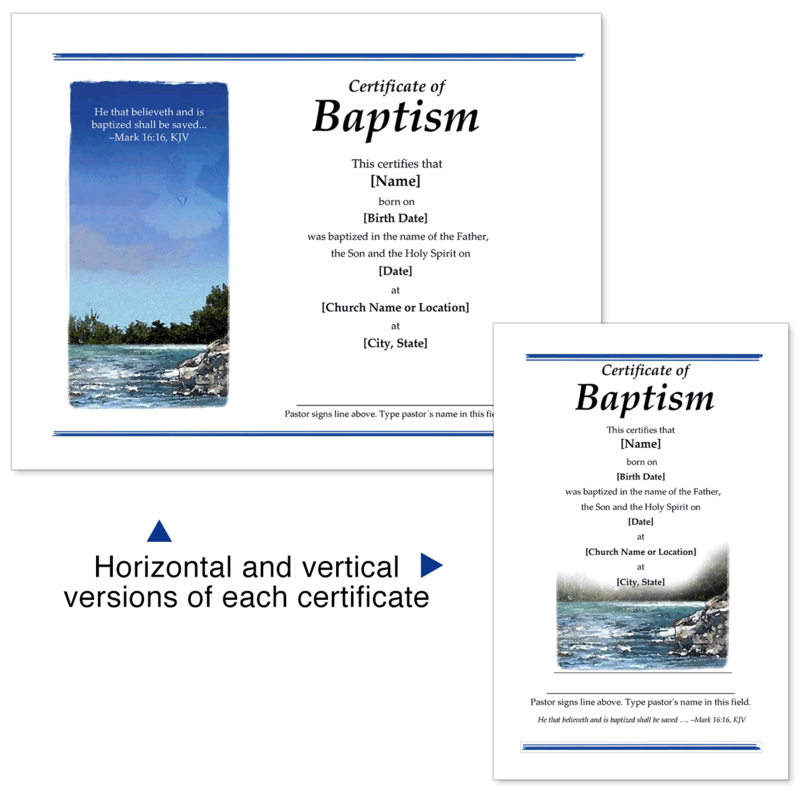 Our Essential Church Certificates set gives you 50 templates for Baptism, Membership, Confirmation, Marriage, Dedication and more. Forget about spoilage or not having the exact certificate you need. You simply print certificates as you need them. This Essential set pays for itself over and over. Recognize important events with ease! 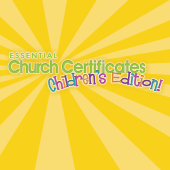 Essential Church Certificates download version provides the exact certificates offered on the SOLD-OUT CD version. This downloadable product gives you immediate access to all the certificates without waiting for the CD to arrive or paying shipping and postage costs. All certificates are provided in PDF and Microsoft Word format, so you can use the design as-is or customize as desired. 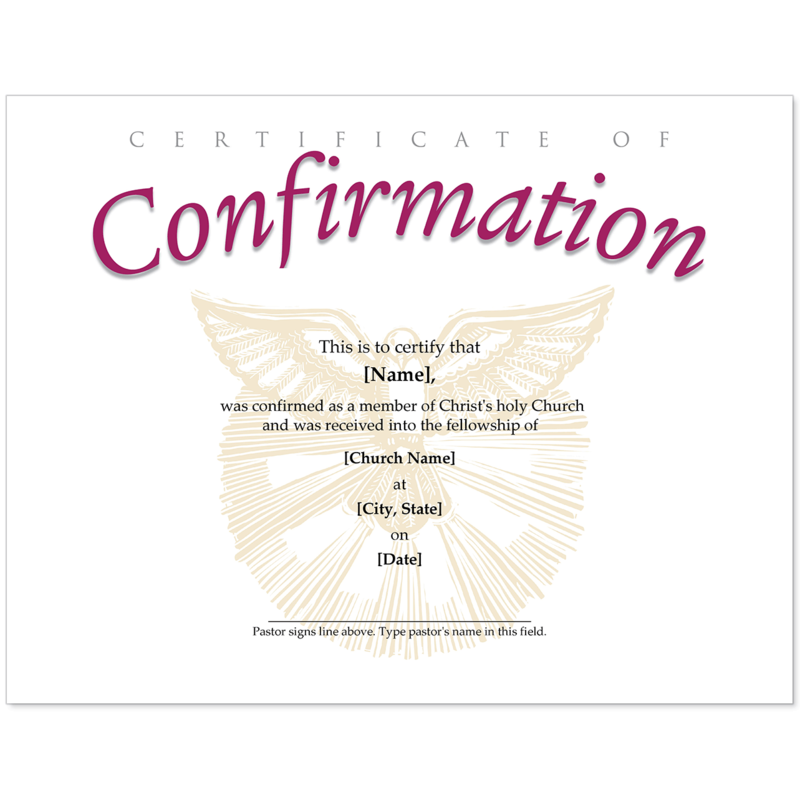 With Essential Church Certificates, you’ll always have the right certificate on hand. 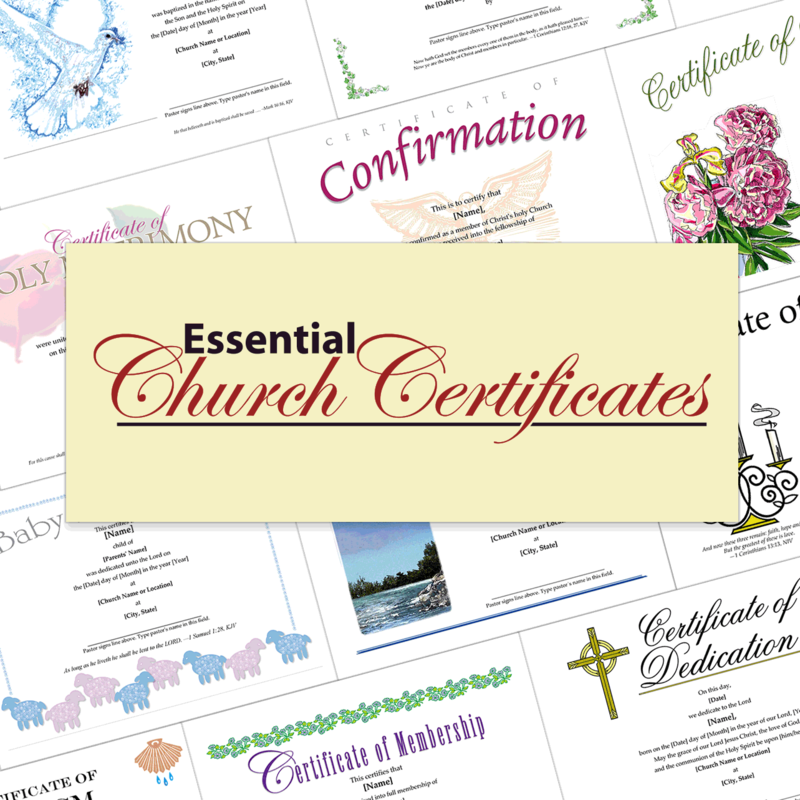 Essential Church Certificates gives you total flexibility! Choose the size and format you need. Use your computer to customize as you need them or add personal touches. 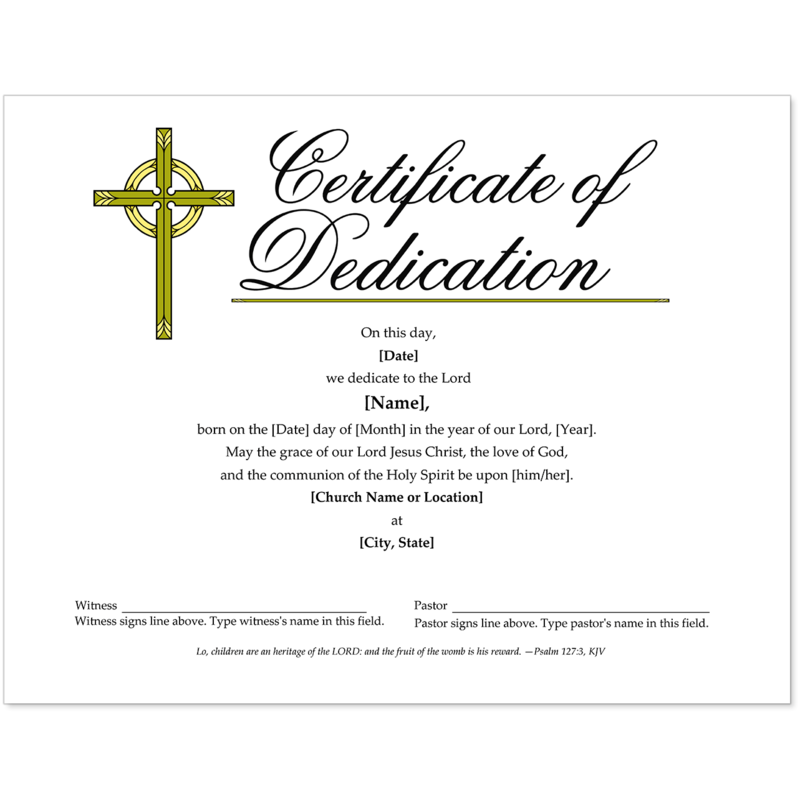 Print on plain paper using our included border designs, or purchase your own certificate paper, parchment paper or other specialty papers to add even more elegance to your certificates. 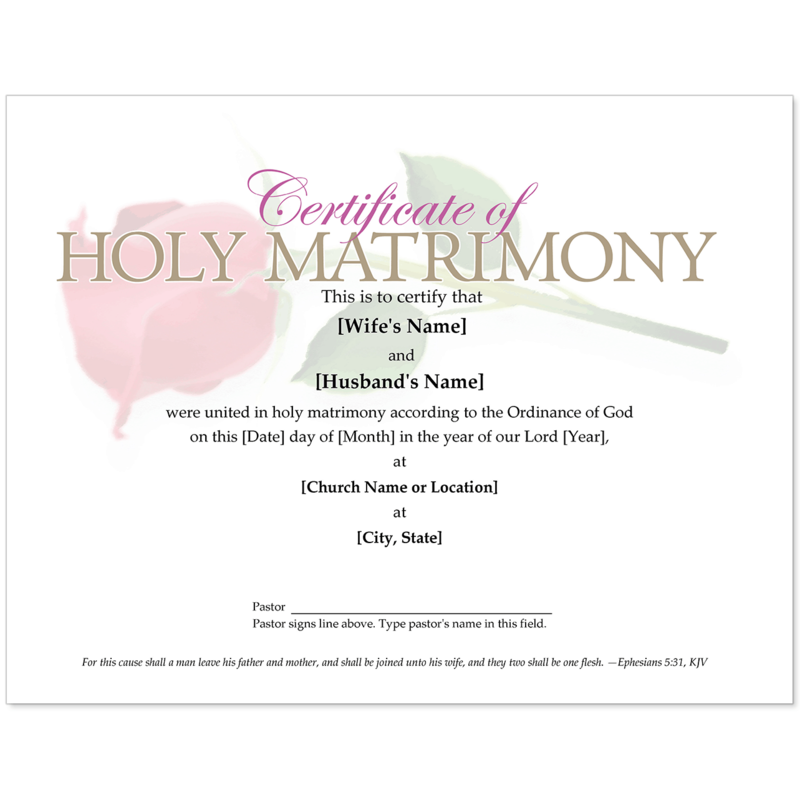 All certificates print beautifully in color and crisp in Black-and-White. Why waste precious dollars on preprinted certificates when you can print your own for just pennies? 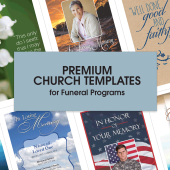 Try Essential Church Certificates today risk-free—if you’re not fully satisfied, return the product for a full refund. 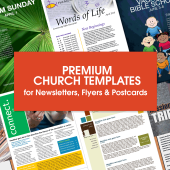 50 templates in PDF and Microsoft Word format, covering a wide array of topics (see below). 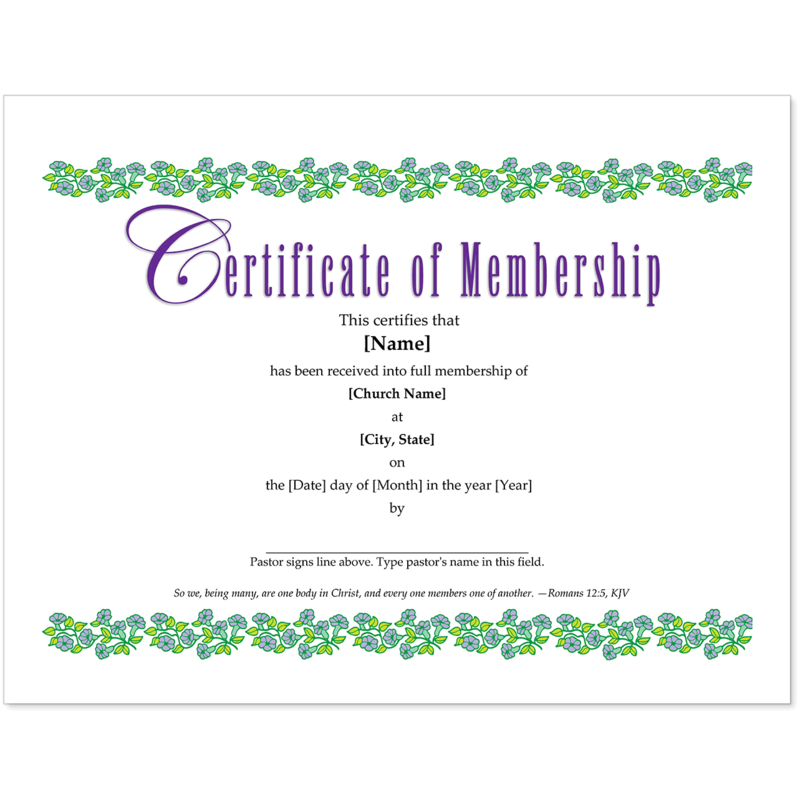 Each Certificate is provided in 8½" x 11" landscape format and 8½" x 5½" portrait format. 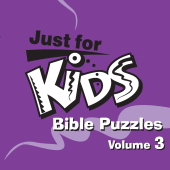 Compatible with most Windows PC and Macintosh computers. 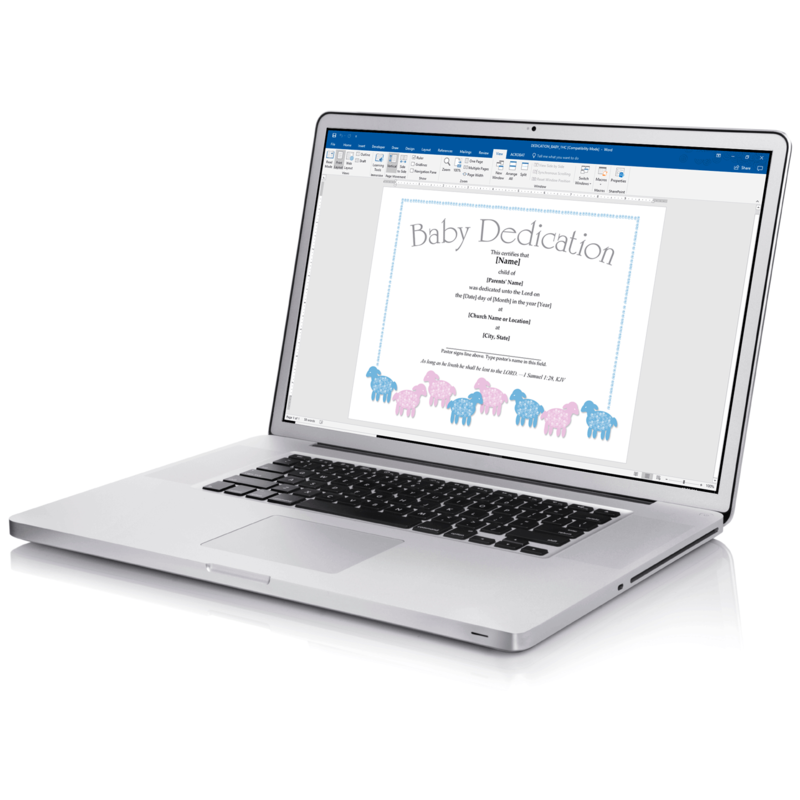 Each Certificate is provided as a PDF and in Microsoft Word format for easy editing. Compatible with Microsoft Word 97-2003 or higher. Download file is a zip file containing .DOC and .PDF files and is 141 MB.